It is estimated that 48.8% of all brands are currently active on Instagram, with this expected to rise to 70% in 2017. 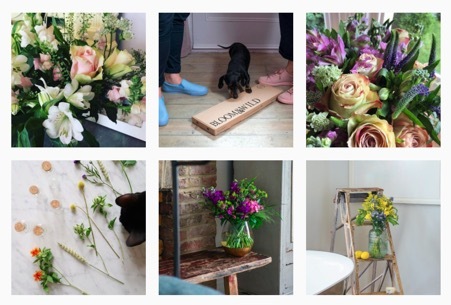 It does seem as if everyone is jumping on the Instagram bandwagon, and for very good reason. Engagement with brands on Instagram is 10 times higher than Facebook and 84 times higher than on Twitter.Over a third of Instagram users have purchased a product online via their mobile, making them 70% more likely to make a mobile purchase than non-Instagram users. 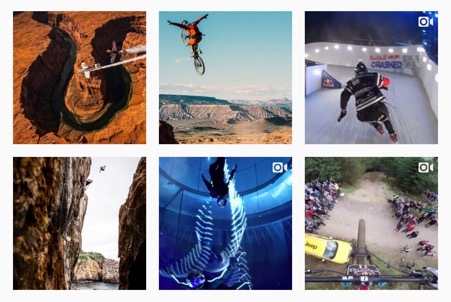 Instagram should be used as part of any content marketer’s strategy. Content promotion is all about getting your content in front of the right people at the right time. We all know that trying a hard sell to a cold customer is not an effective strategy. ‘Warming’ your customer to your brand through your content before moving on to selling to them is much better. Instagram (and Facebook) is such an effective platform for doing this. Probably the most important question you need to ask before you dive into Instagram is how much of your audience is actually active on this platform? It is estimated that 90% of users are under 35, so it’s important that your target audience matches this demographic. So, lets assume you’ve carefully crafted customer persona and your team has got a load of great content ideas. Even the best ideas fall flat unless you get them in front of the right people. As with Facebook, Instagram’s wealth of targeting options allow you to reach new users far more efficiently than through organic posts, making it a must for content promotion. As you are probably aware, Facebook acquired Instagram in 2012. This makes it easy for us, as we can manage Instagram adverts directly through the Facebook advertising interface. Probably the best targeting tactic is to get a Facebook pixel installed on your site – this matches users who visit your website to their Facebook and Instagram accounts. I would also recommend uploading your customer email list. Facebook can then create lookalike audiences. This is basically the Facebook/Instagram users most similar to your current customers. It’s a no brainer and will be effective, but this list will get saturated and you then must fend for yourself. Follow this up with interest based targeting around your customer personas. A sports supplement company will certainly be targeting their content at users who have expressed an interest in fitness, the gym and nutrition, whereas a B2B company is probably going to target people based on their job title. If you’ve already got a customer persona this should be common sense to pick out the interests from this. Depending on your budget, I would always recommend testing one or two elements against each other to get the best ROI – I’ve written about this extensively elsewhere so I won’t labour the point here. Every single bit of content you put out should follow a predefined brand style guide. If you haven’t considered doing this on Instagram, it might be worth considering whether you already have the fundamentals covered with your website. Do you use a certain graphical style? What are the primary colours used? What’s the font size? Is the website warm or cold? Keep these consistent within your adverts too and use this to find your theme. 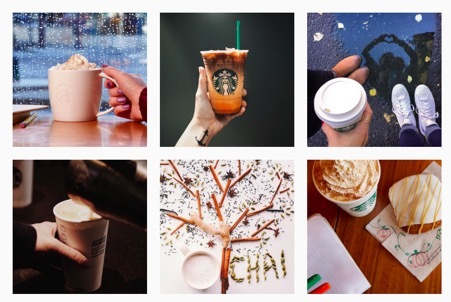 In terms of Instagram-specific factors, are your posts informational or light hearted? Do you use filters? Is your material ‘caption heavy’? If every single bit of content follows a predefined brand style guide you can build your brand recognition so that users can pick you out from a cluttered feed. Never lose sight of your objectives in this, though. Your content should be engaging new users with the purpose of driving them down the funnel. Always try to include some kind of conversion within your content which will allow you to identify and segment users who engaged well with your output. For example, simply hosting a single page infographic on your site doesn’t give you any way of determining which users engaged with it and which just looked quickly and bounced. Making a click through event to reveal additional content allows you to segment the users who clicked through. These should form the list of customers who are warming to your brand, and therefore suitable for further targeting. There’s lots of different things you can do with your ‘engaged pot’, but I still wouldn’t recommend you target them with adverts. You can prompt them to like your page, but this isn’t very effective for a number of reasons. Your organic feed should be the voice of the brand and appear to both new and old users. Highly personable, or more product specific, content may be off putting to certain parts of the audience. If your budget is limited it may be the only option. I would always recommend, however, creating more highly targeted personable content pieces at this point. Content around a specific problem your product solves, or something informative about your services. Basically, at this point you are trying to ‘qualify’ the users. We already know this segmented pot is interested in the content you make, but is there a buying intent here? Here, you need to utilise further ‘conversion events’, but this time they need to be strategic CTAs (calls to action) through to product or category pages. For example, a sports supplement company might create a long form piece around nutritional deficiency symptoms. This could ask users if they experience certain symptoms and, if they do, prompt them to click through to the appropriate product or category. If they don’t convert from here, your display adverts will retarget them, and you can even create dynamic product adverts to retarget them straight through Instagram if you wish. This does require implementing a data feed, but it is certainly an option. Monitoring your KPIs is the final part of the Instagram strategy. General KPIs like CTR (click through rate) are important, but don’t lose sight of what you are trying to achieve. Getting really ‘granular’ with your approach will allow you to identify specific pain points within your campaign. If users aren’t clicking on your adverts, it is likely that your targeting isn’t aligning with your personas. If users aren’t clicking through to the conversion event it is probably because your content isn’t up to scratch, for example. If your social and content teams are separated, I would strongly recommend merging the two. As stated early on in this post, social (and specifically Instagram and Facebook) are probably the best platforms for content promotion out there currently. Extensive targeting and retargeting options, as well as adopting best practice, which allow you to build an audience that identifies with your adverts and posts. Instagram is here to stay so get on board.